- Grate 1 1/2 cups of zucchini, which is about 1 1/2 - 2 zucchini. 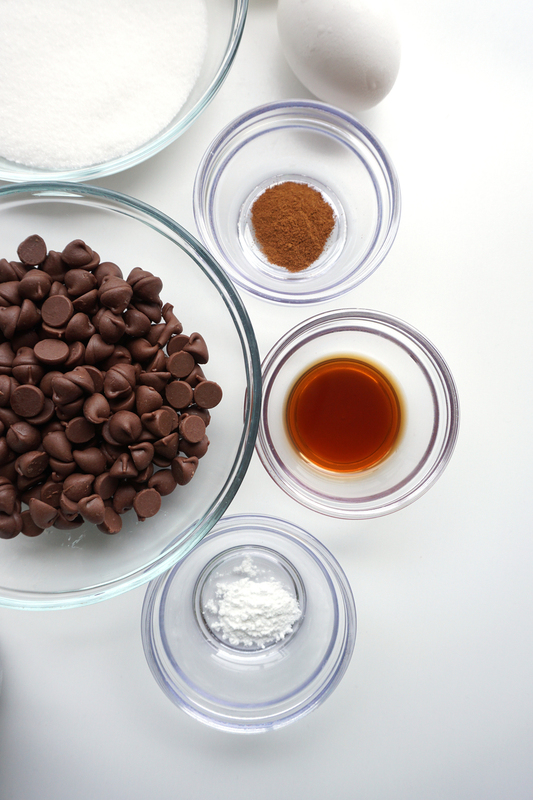 - In a large bowl, sift together all the dry ingredients - the flour, cocoa powder, baking soda, baking powder, and salt. - In another bowl, whisk eggs, oil, sugars, and vanilla extract. - Fold in the grated zucchini. - Mix in all the dry ingredients, and lastly fold in the chocolate chips. - Prepare a loaf pan by buttering it or placing a sheet of parchment paper to line it, and pour the batter in. - Bake at 350F for 35 minutes, checking the loaf with a toothpick or skewer. It should be inserted in the center and come out clean when it’s finished. This blog was such an experience. The first time I baked it, it didn’t turn out the way I was hoping, and it was really hard to know how to fix whatever went wrong, since I don’t know much about baking. I was so thankful I could ask my friend for help, and that her recipe helped save the day. I love that the zucchini is pretty much undetectable in this bread, and really just tastes like a delectable chocolate bread. It’s wonderful served warm with a bit of butter. I thought this was a fun little idea for April Fool’s Day, but it’s definitely a great recipe to help use some beautiful zucchini. Enjoy!